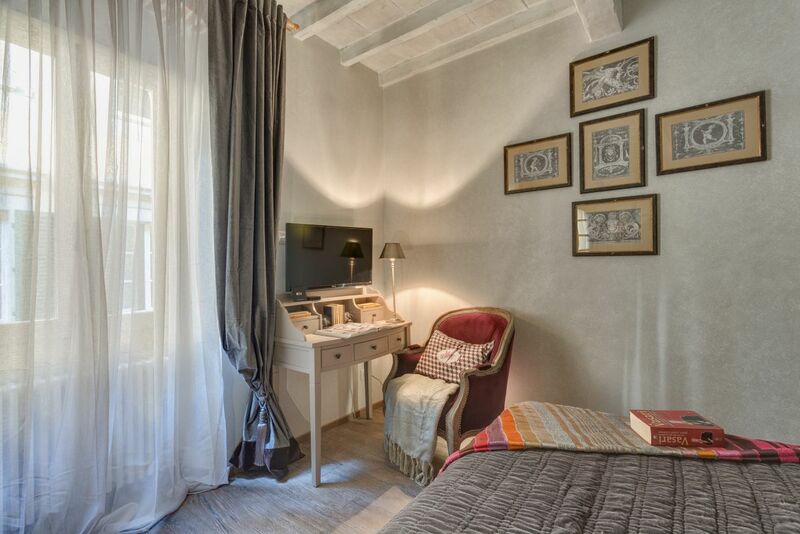 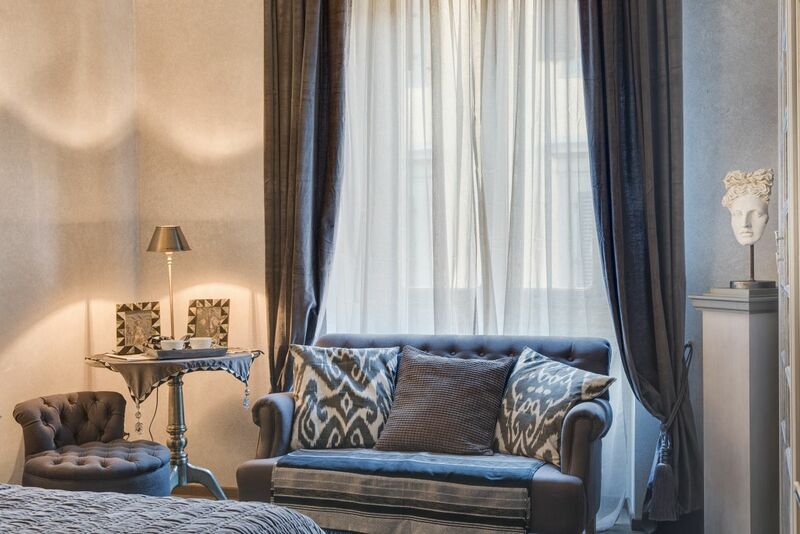 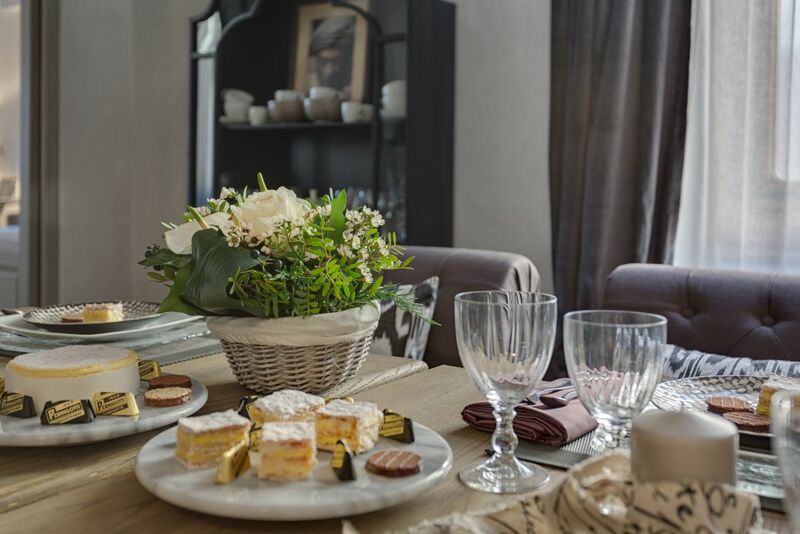 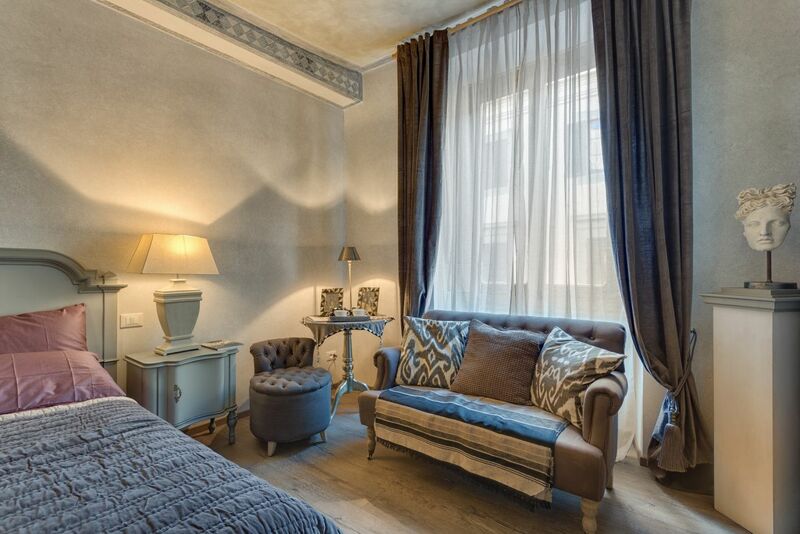 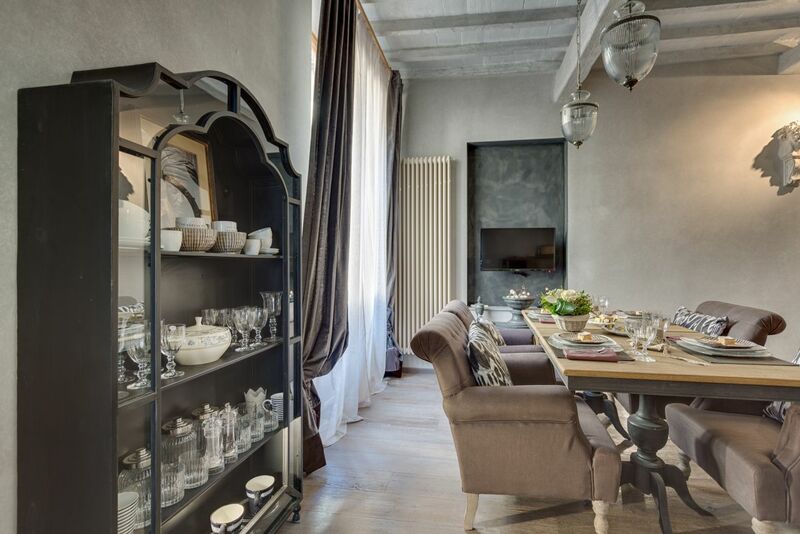 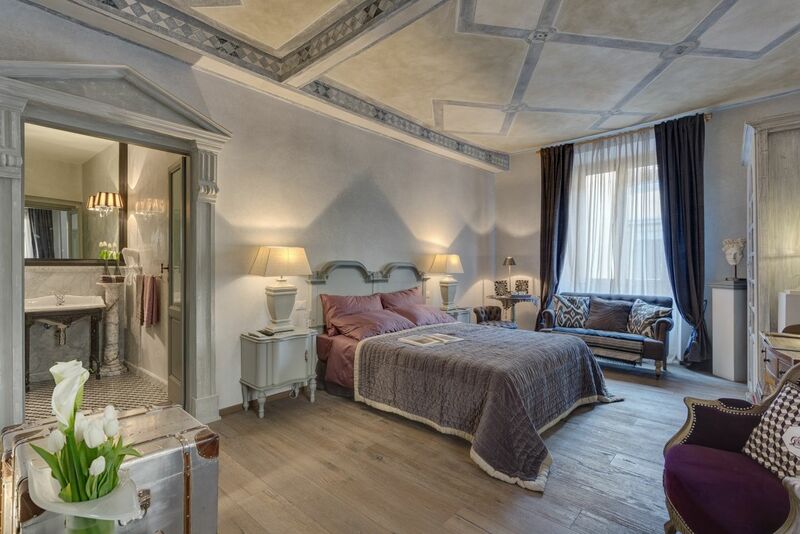 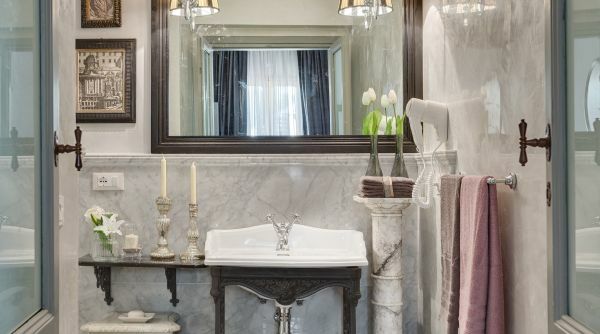 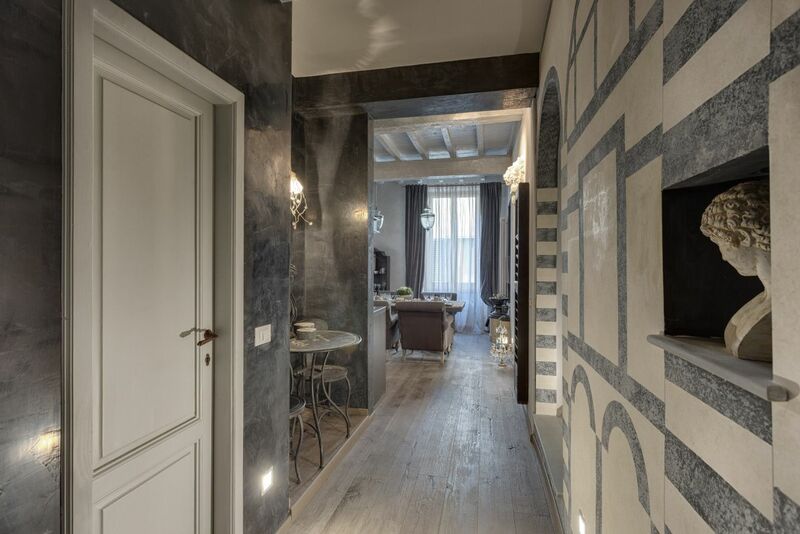 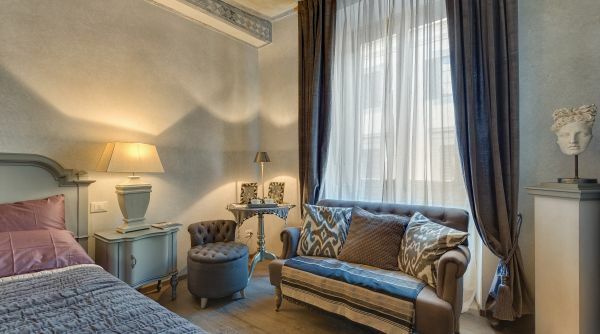 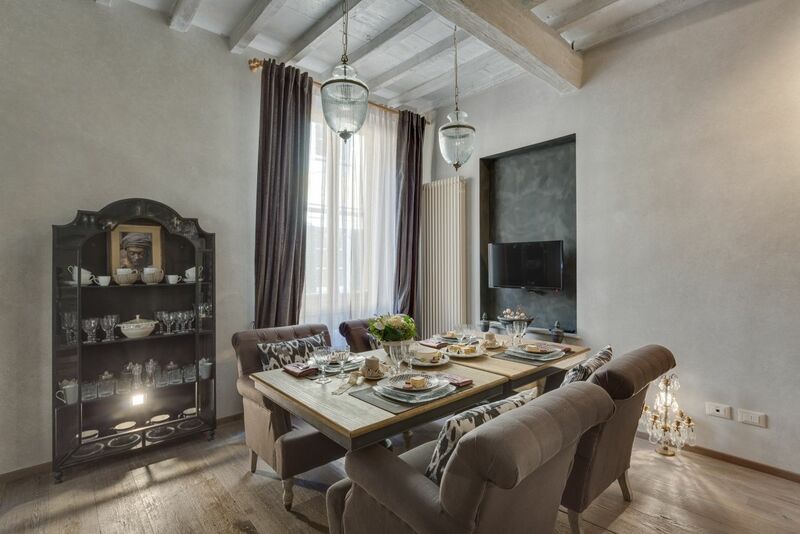 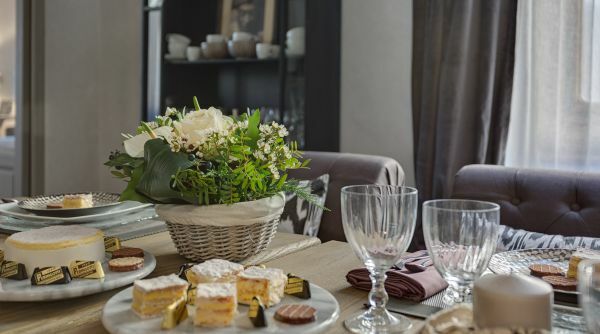 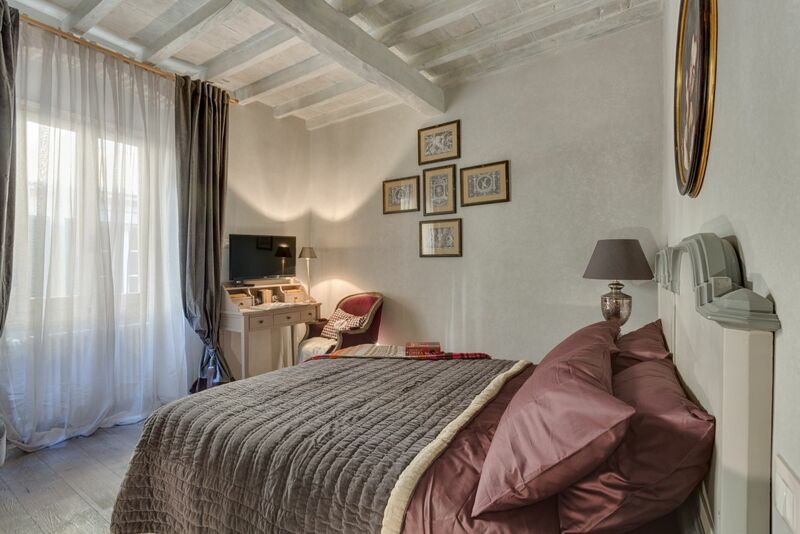 A sumptuous, luxurious and comfortable way to experience Florence staying in the very heart of the city: inside an historical Palazzo in Piazza della Signoria. 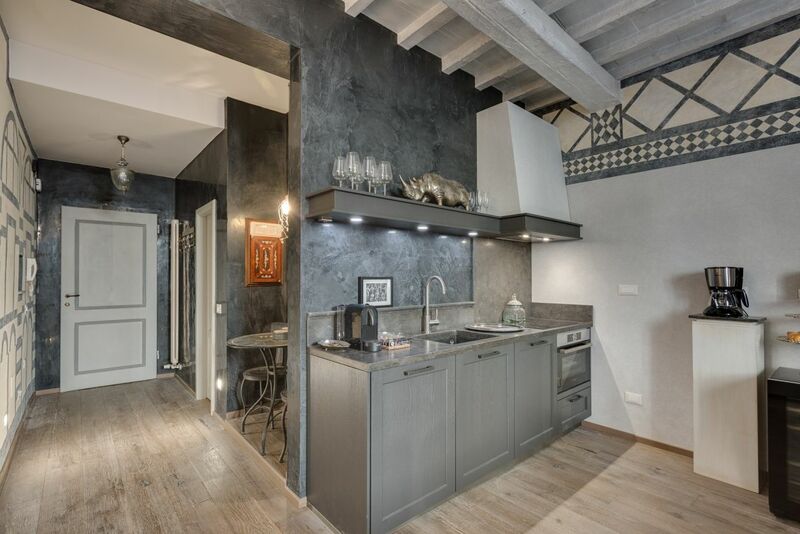 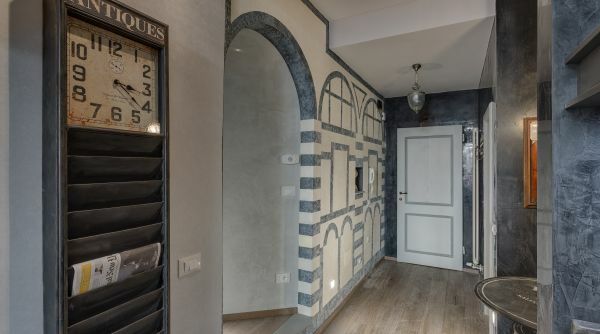 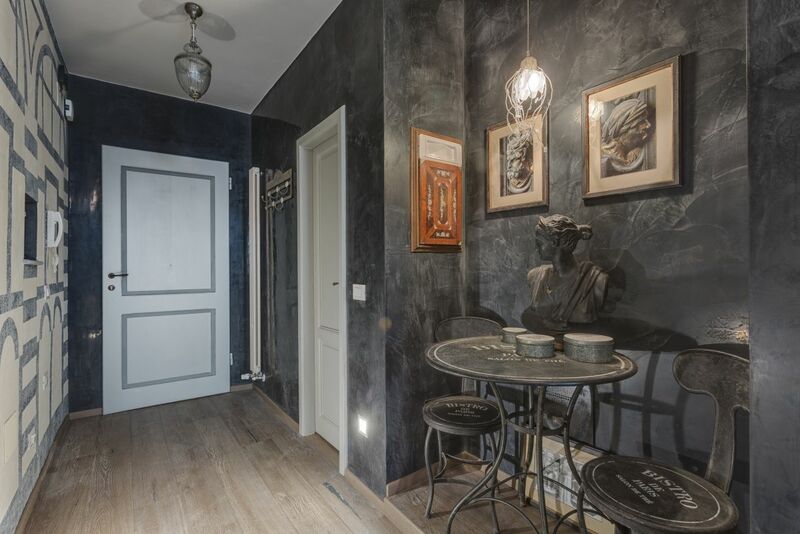 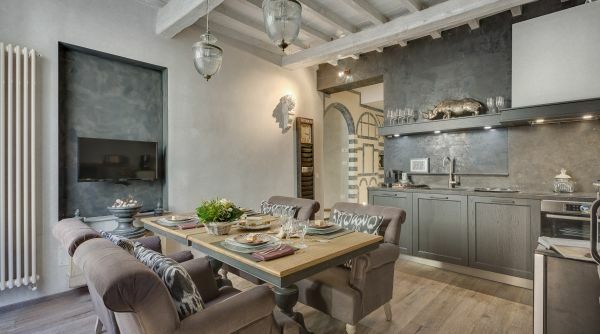 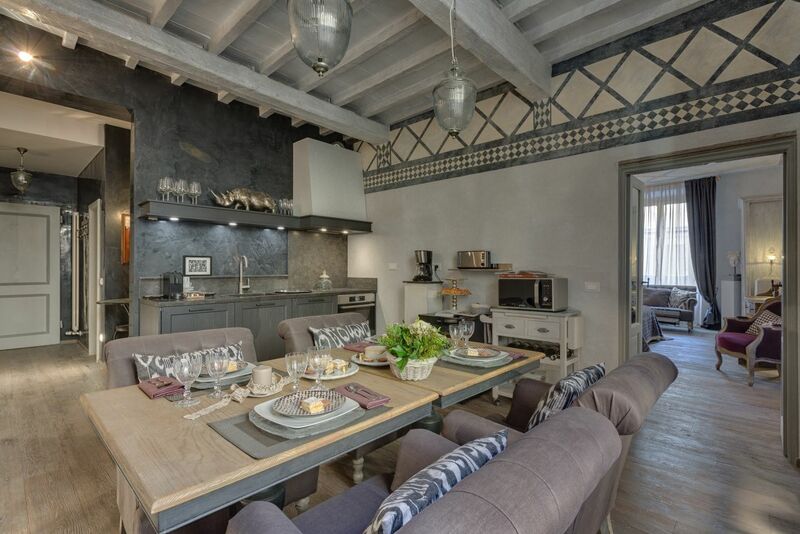 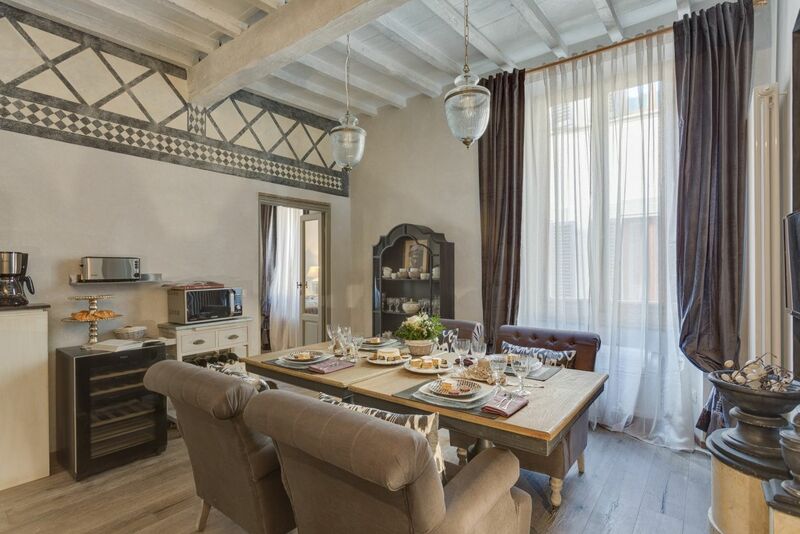 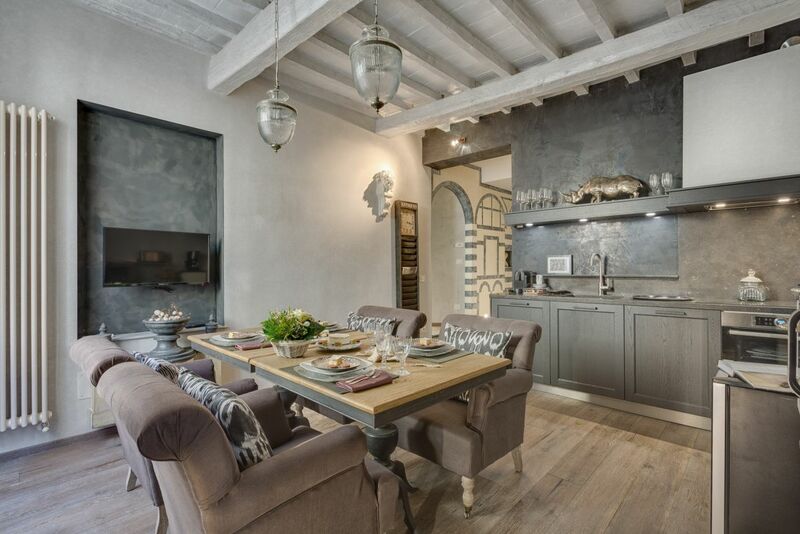 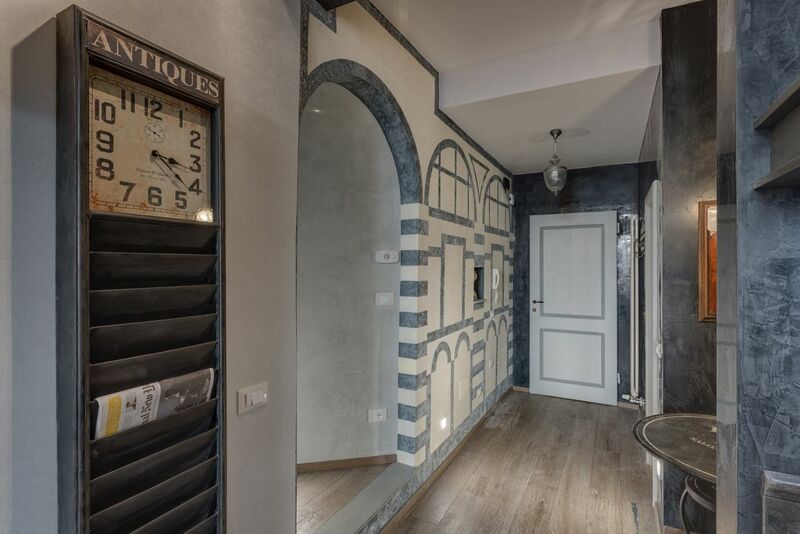 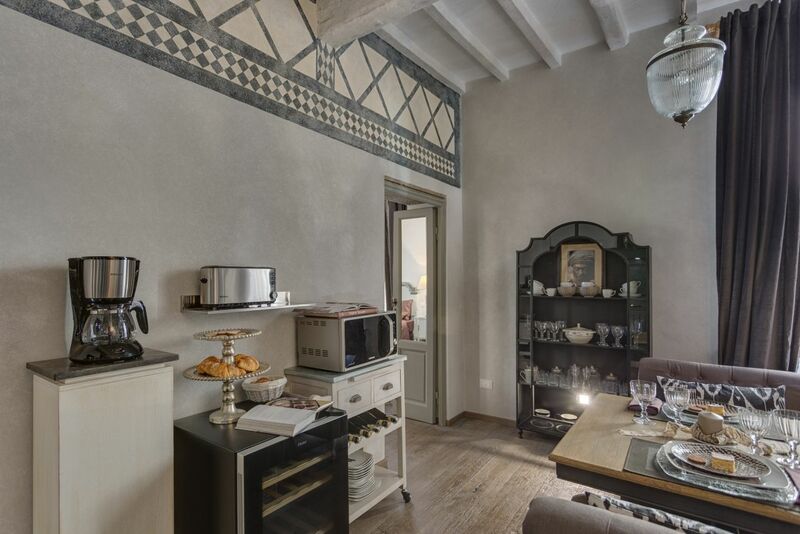 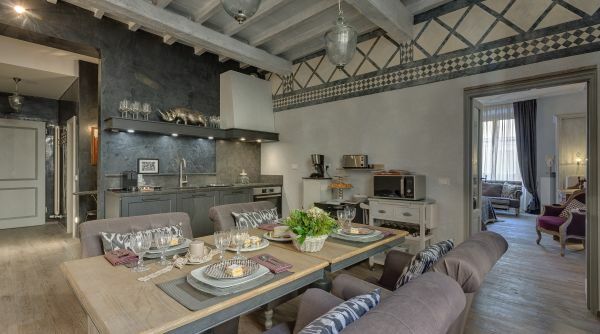 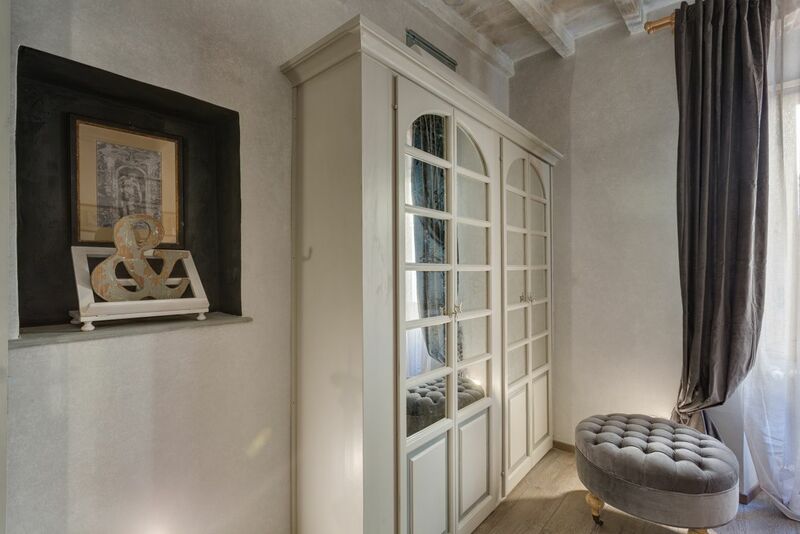 This magnificent apartment is located inside an historical palace, Palazzo Bombicci, set right in Piazza della Signoria, in front of the famous Loggia dei Lanzi. 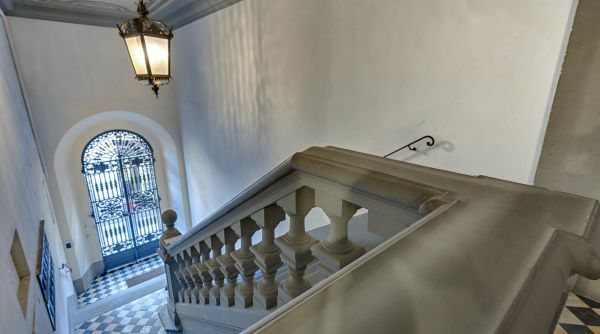 This square is one of the most famous “open air museums” in the world, hosting masterpieces by Michelangelo, Donatello, Giorgio Vasari, Baccio Bandinelli, Bartolomeo Ammannati, Benvenuto Cellini, Giambologna, surrounded by Medieval and Renaissance palaces, sculptures and fountains. 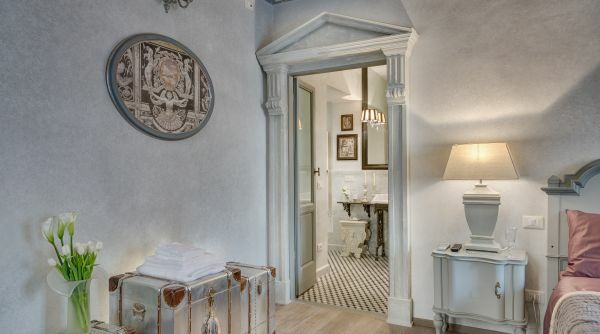 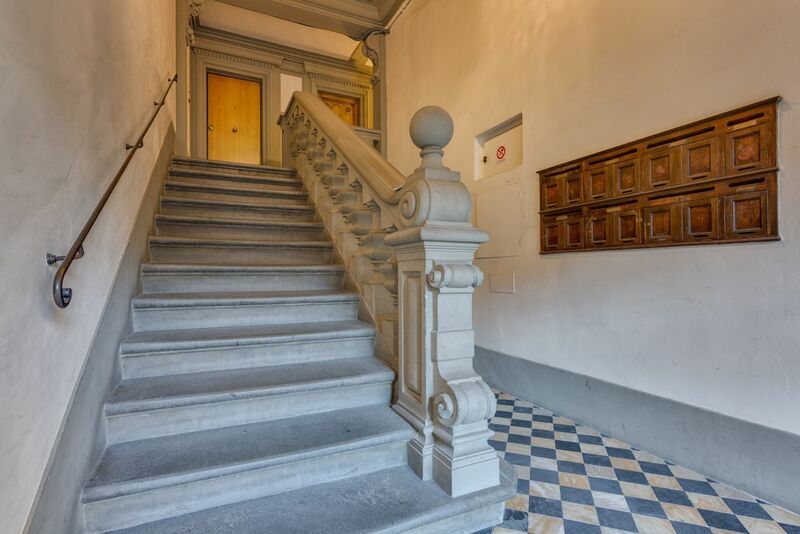 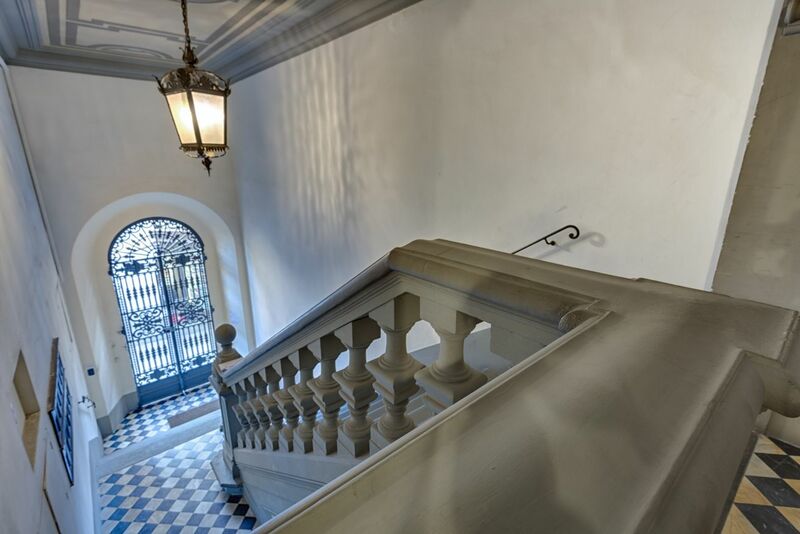 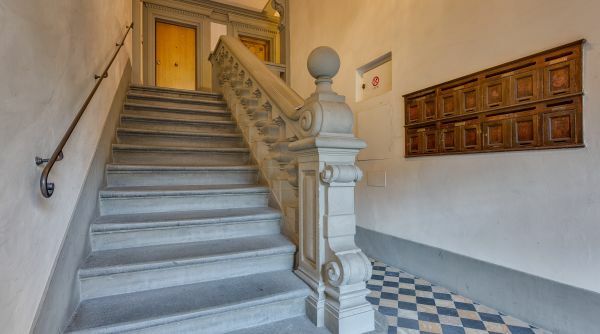 Imagine entering the aristocratic Palace, climbing up 17 steps to the elevator and reaching the third floor, where you'll enter your Florentine home. 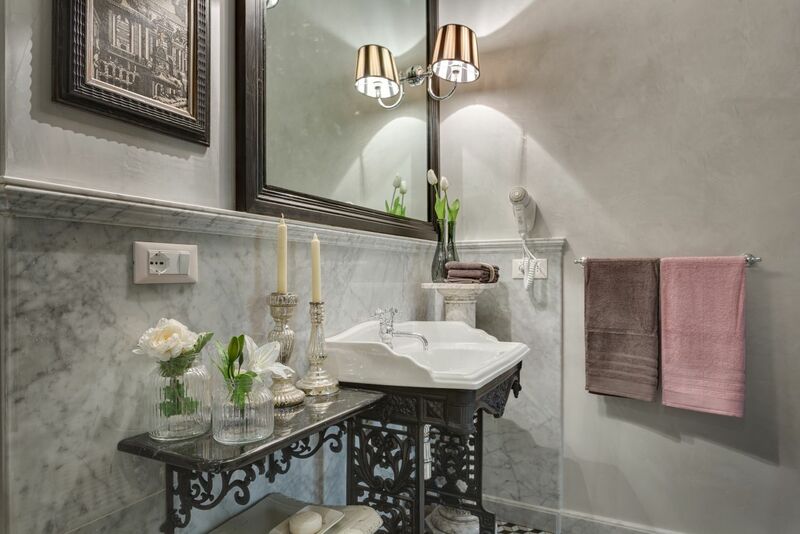 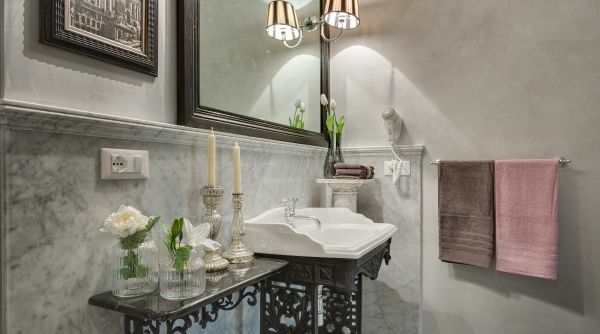 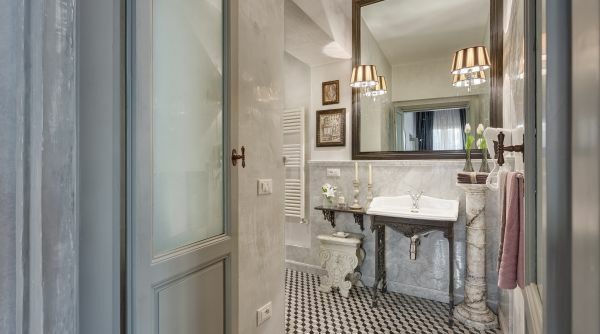 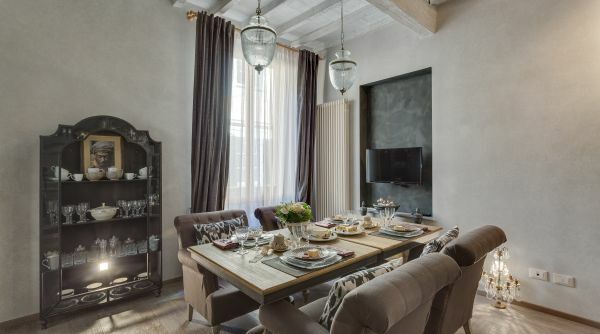 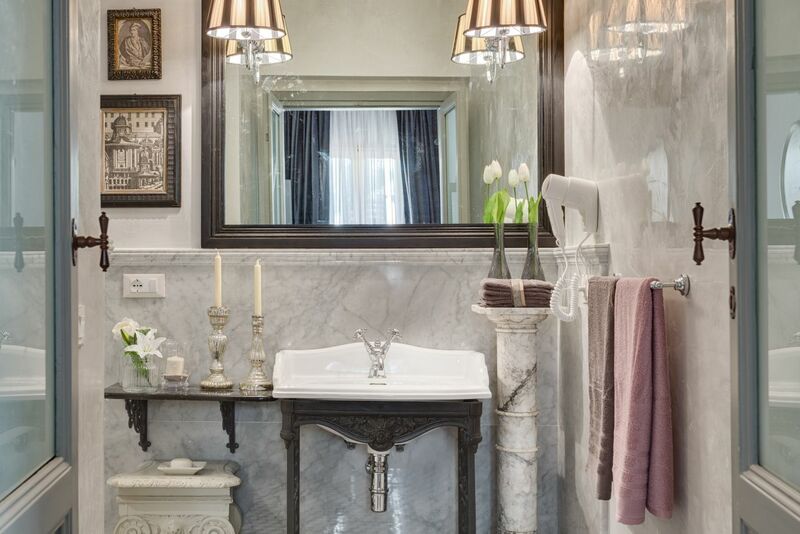 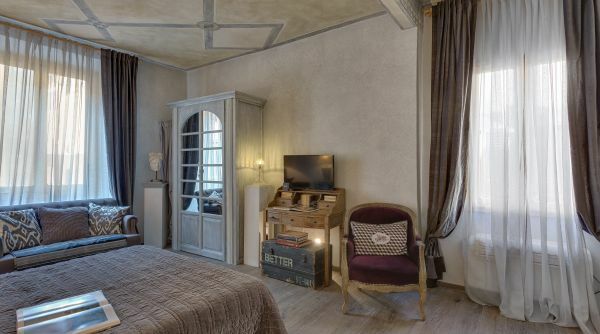 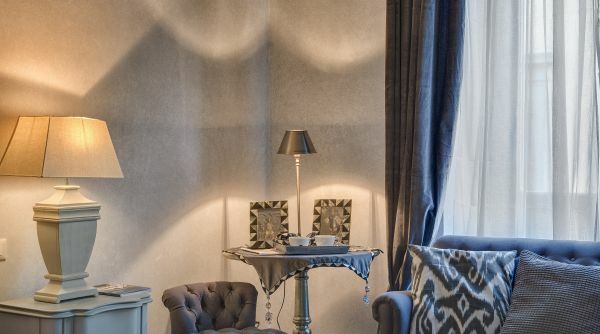 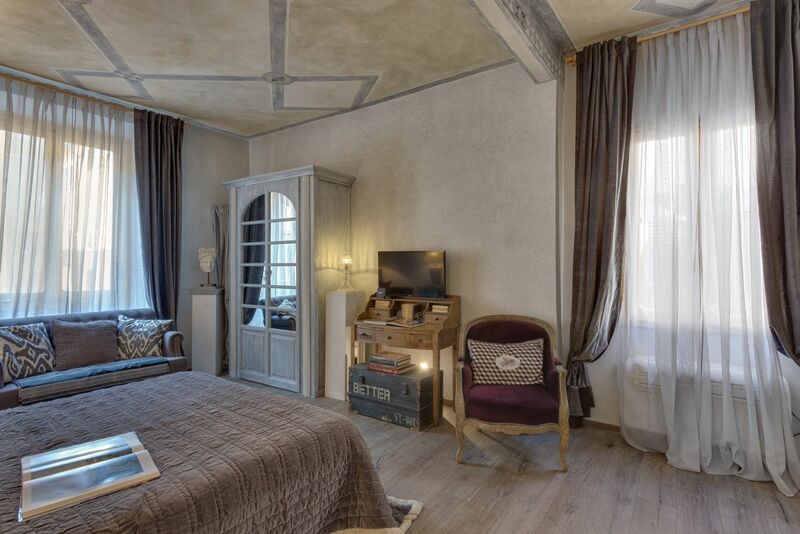 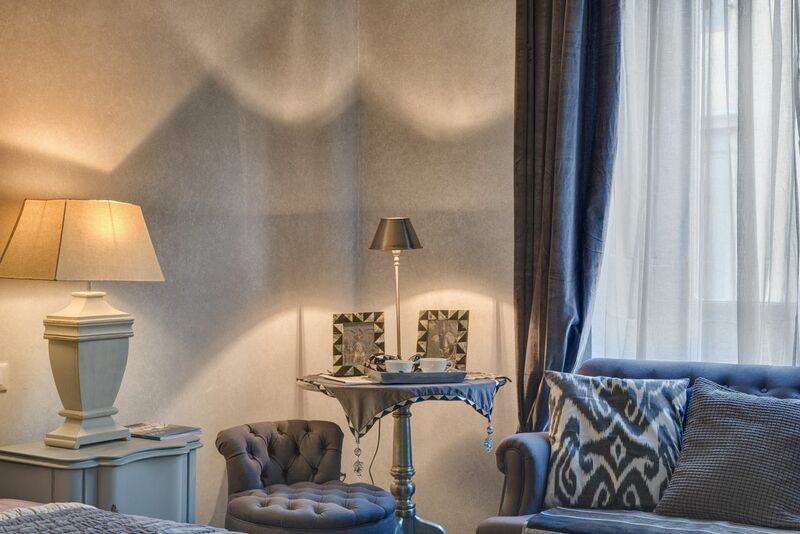 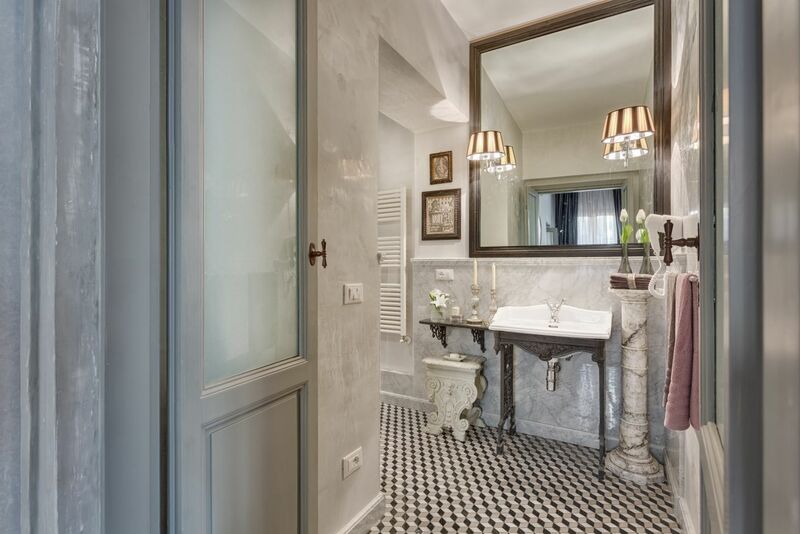 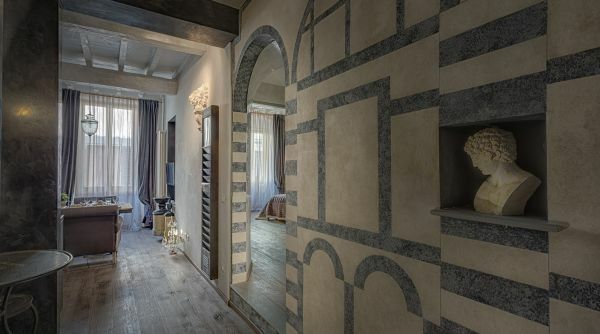 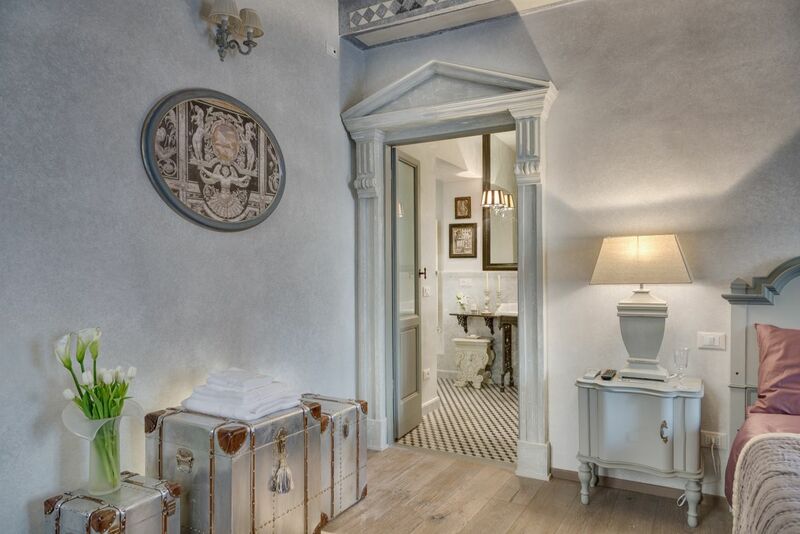 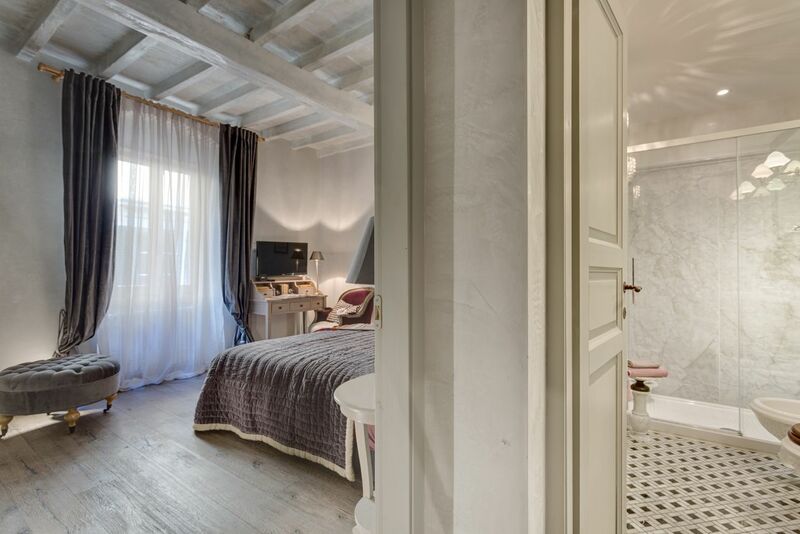 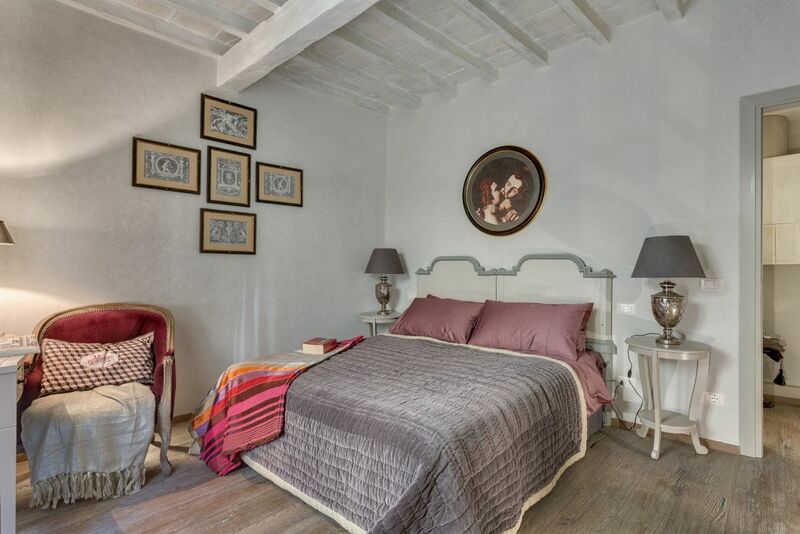 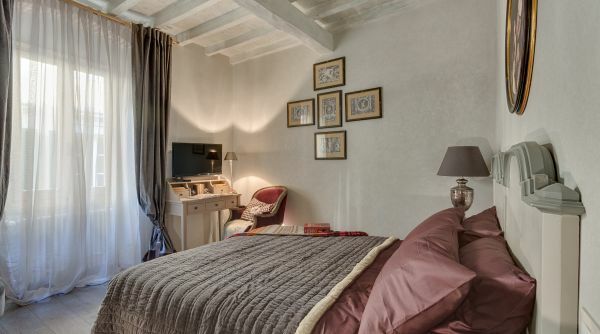 Redecorated and fully renovated in 2015, every room has been decorated combining comfortable and, sophisticated taste with voluptuous and elegant fixtures, such as marble decorations reminding us of the Duomo, white washed exposed wooden beams and rustic parquet flooring. 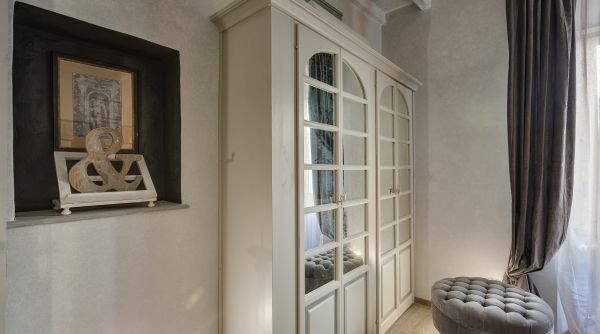 The entrance with built-in wardrobe leads to the central area of the apartment, the living area or Tinello (in Italian “Tinello” describes the room in which families use to gather round the table to have a meal, discuss and simply enjoy each other's company), decorated with contemporary feeling items. 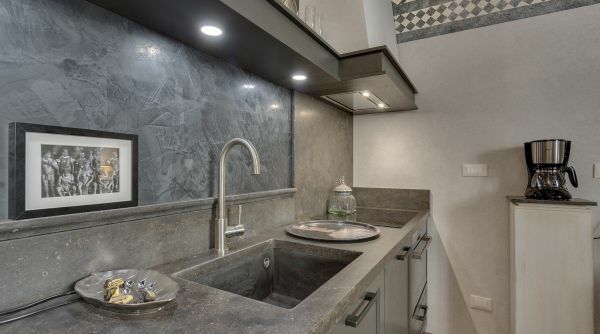 The modern and fully equipped kitchen features everything from a Nespresso machine to a wine cooler canteen, to ensure you have everything you need to cook your own meals comfortably at home. 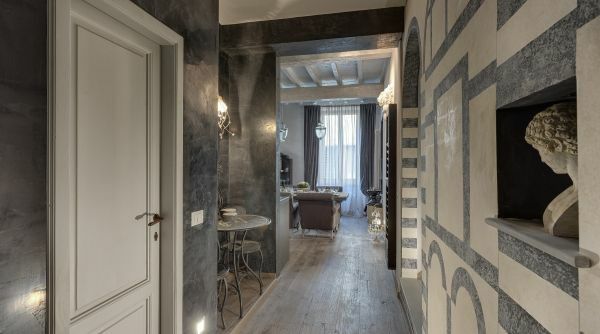 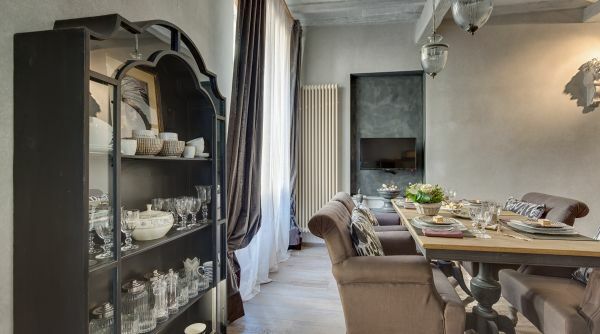 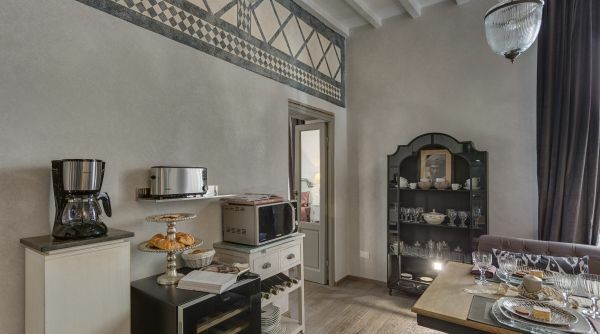 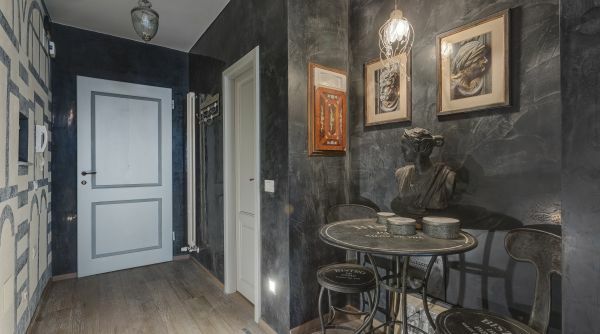 As a matter of fact this apartment, back in 1852 when he first came to Florence, was home to Pellegrino Artusi, famous gastronome and literary critic, author of popular book series dedicated to the art of good food. 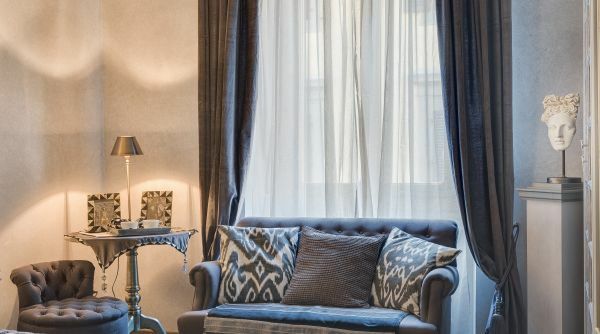 From the living area you'll access the two marvelous bedrooms, both spacious, bright and airy, featuring a lounge area with sofas and flat screen TV, closets and king size beds (one of which can be divided in two single beds upon request). 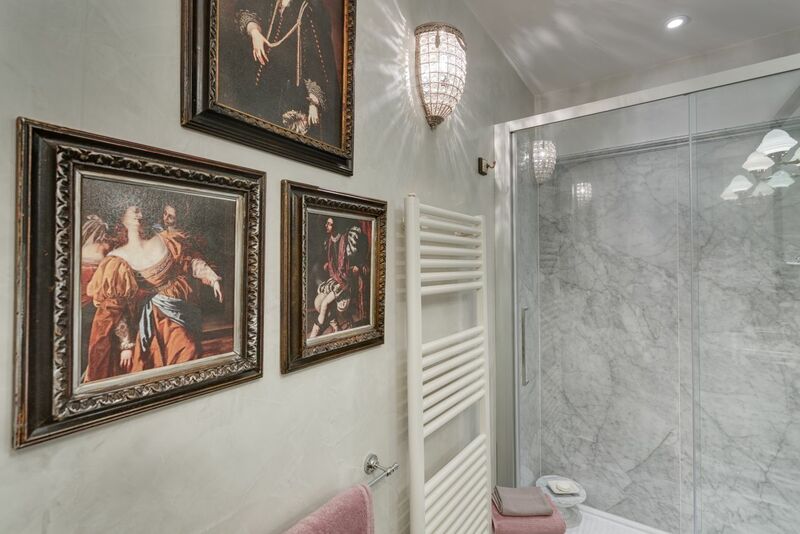 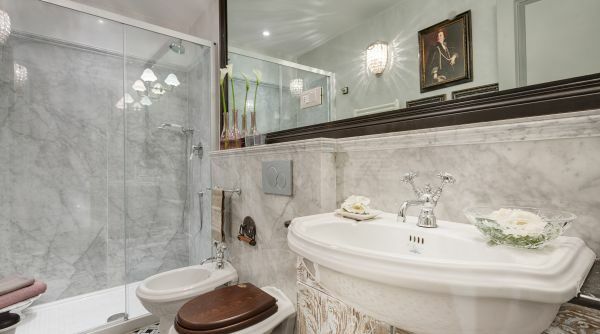 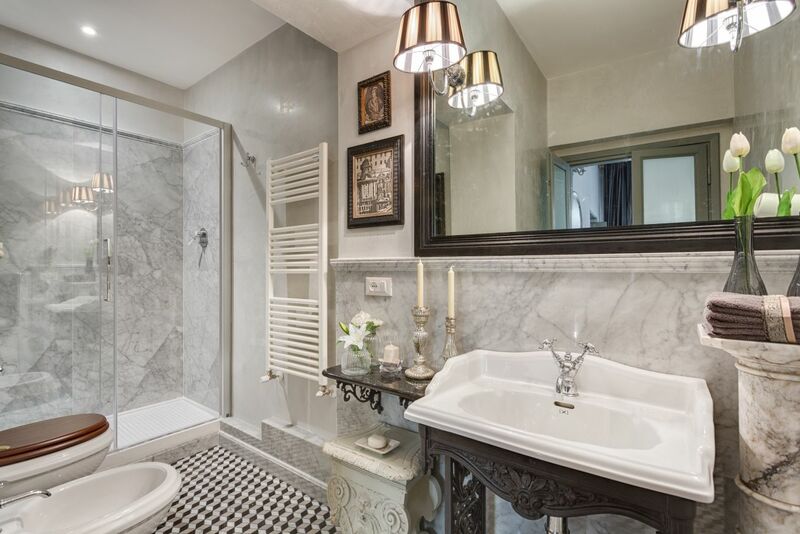 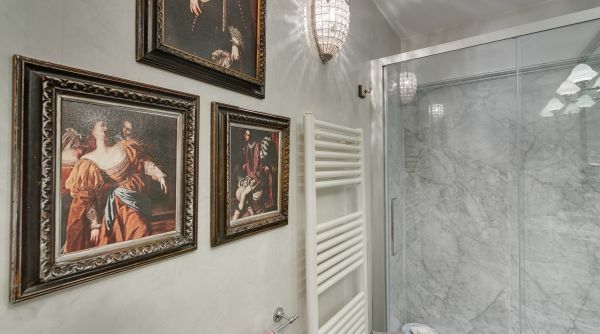 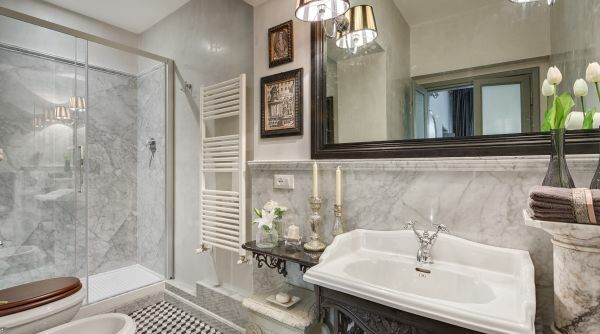 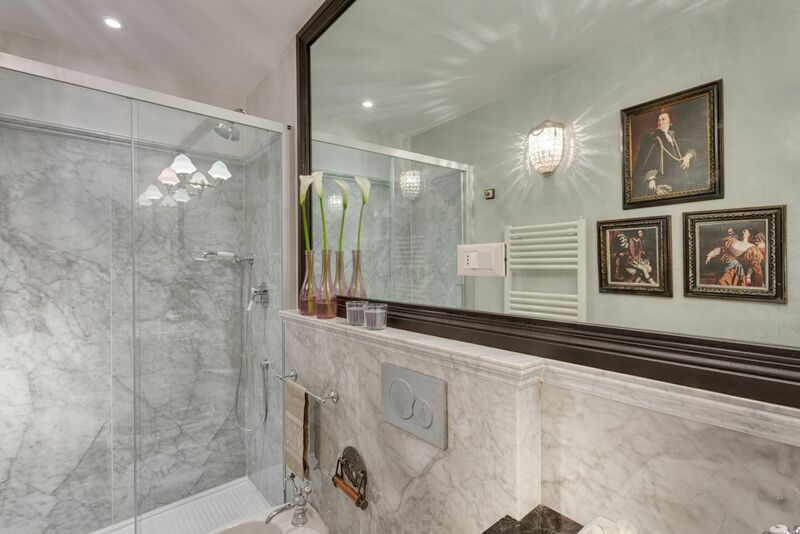 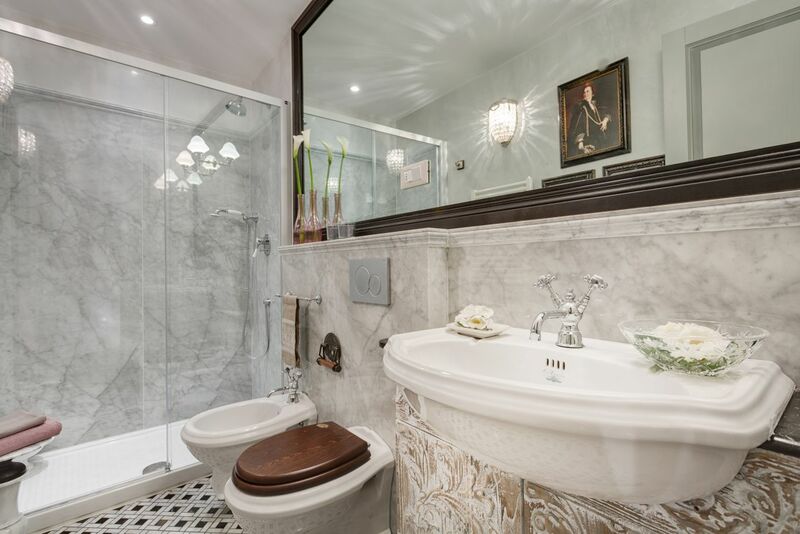 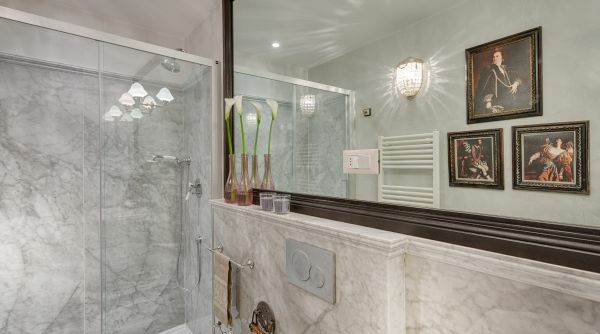 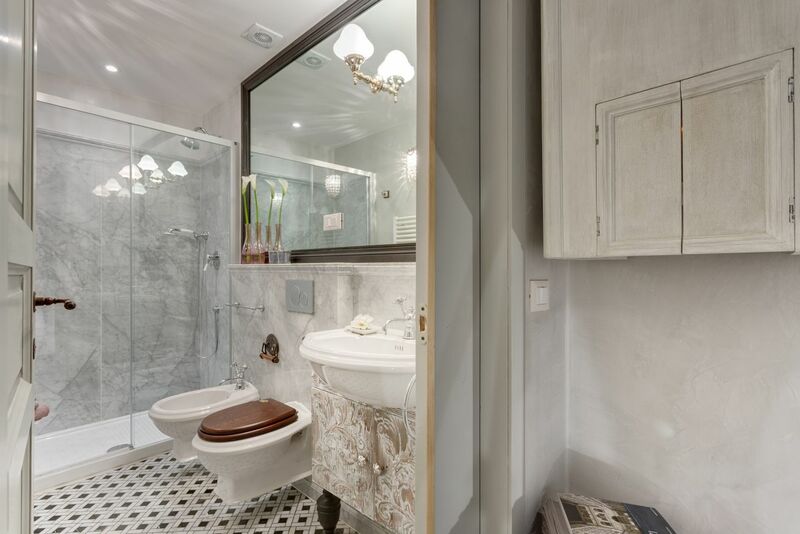 Both rooms have access to their own private luxurious bathroom, covered in Italian marble and featuring large walk in showers. 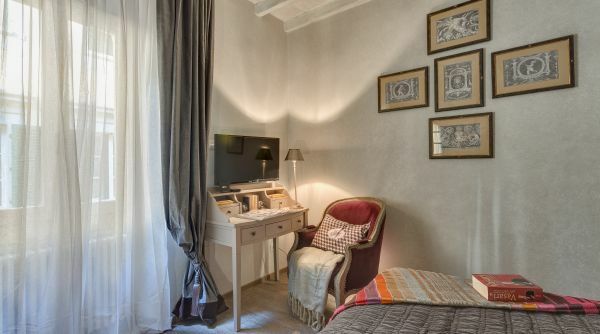 The whole place was renovated in 2015-2016, equipped with state of the art A/C systems in every room, free wi-fi ADSL, 3 Flat Tvs and 2 Apple Tvs. 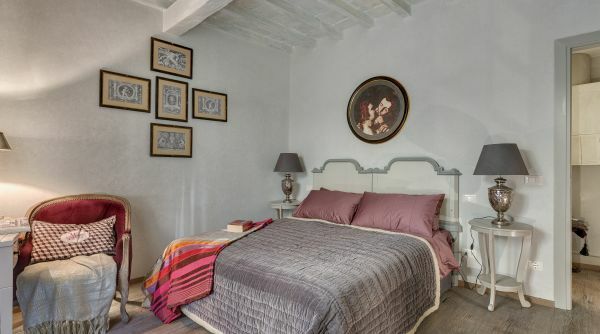 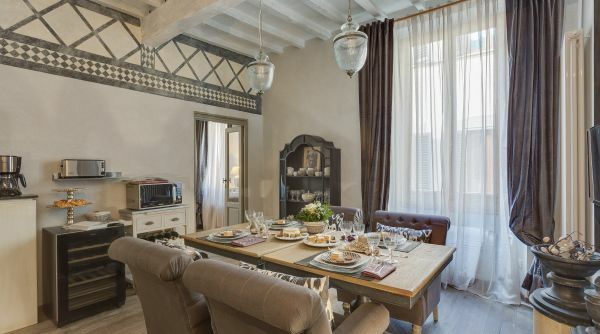 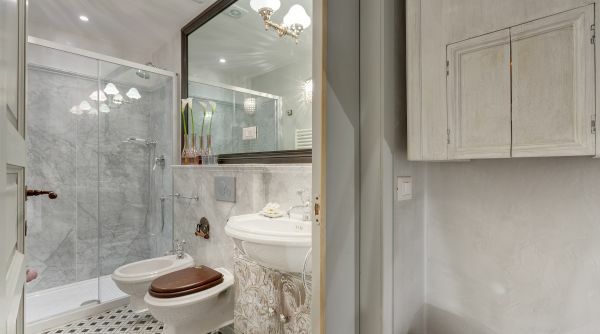 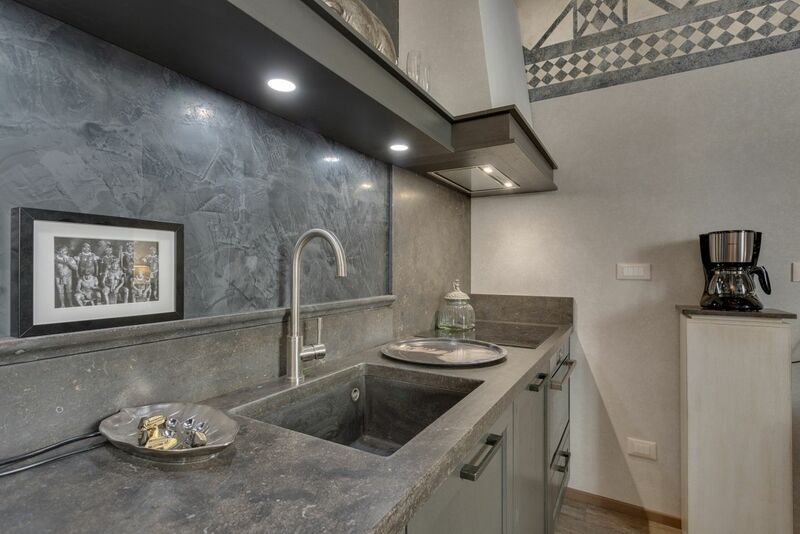 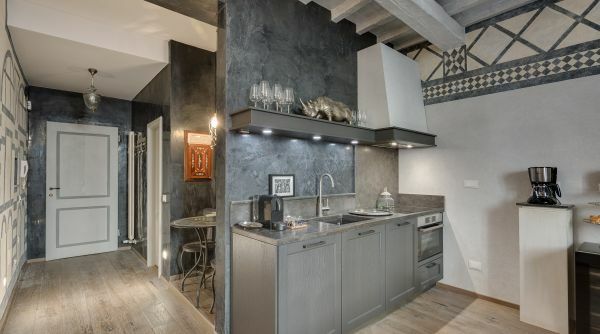 This apartment is your top pick if you're looking for an unforgettable way to experience Florence, staying in its very heart, only steps away from Palazzo Vecchio and the Uffizi Gallery, and also just minutes away from every other historical and artistic landmark, such as Ponte Vecchio, the Duomo, Santa Croce, San Lorenzo and Piazza della Repubblica. 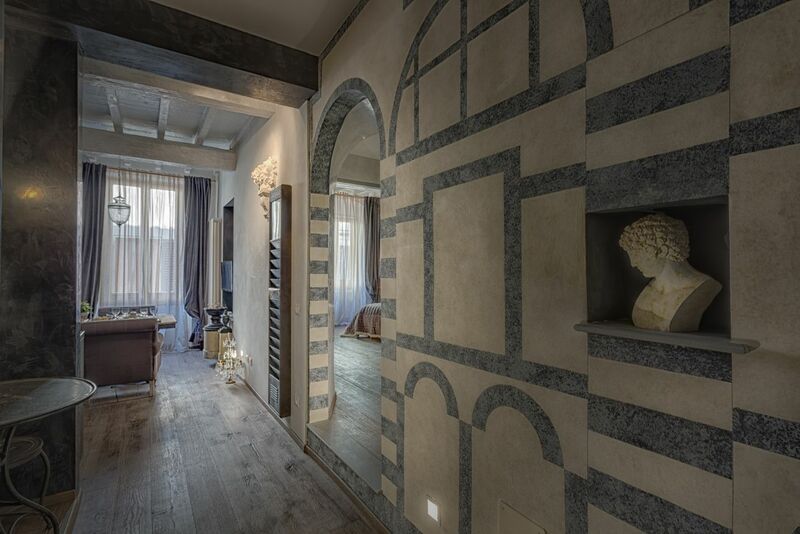 You will be surrounded by historical cafès, luxury shopping boutiques and stellar restaurants, all in the authentic of the Renaissance City. 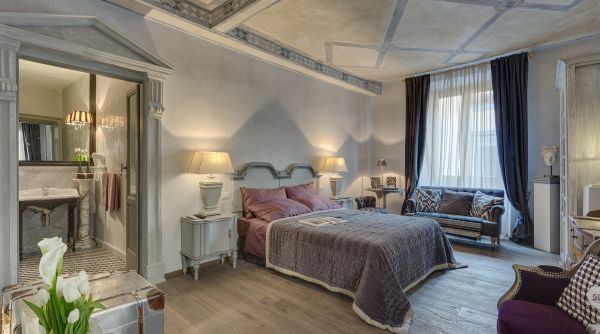 No long term reservations will be accepted during high season.